Moscow, April 18, Interfax - Patriarch Kirill of Moscow and All Russia has thanked Russia's Foreign Ministry and other authorities for protecting Syrians from extermination, and noted that global community is still paying no attention to the persecutions of Christians in a number of countries, particularly in Africa. “The Russian counter-terrorism operation [in Syria] has given Christians a hope. The leaders of the Middle Eastern Churches have more than once attested in public and asked Russia to stand up for Christians in Syria and Iraq,” Patriarch Kirill said at the Foreign Ministry’s Reception House on Tuesday. “As a result of the operation involving the Russian Aerospace Forces, settlements with predominately Christian population are being liberated, people are simply being protected from extermination,” the patriarch said. The Russian Orthodox Church continues to support the Church of Antioch, whose center has been historically located in Damascus, the patriarch said. “Including materially, we assist in organizing humanitarian convoys,” he said. 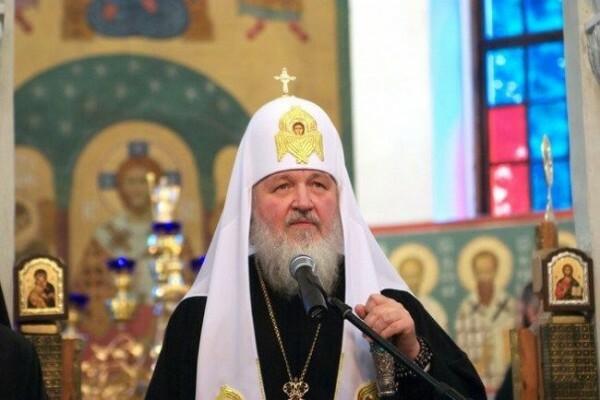 As for Christians in Africa, clashes between Church of Alexandria followers and the Muslim population have continued for many years, Patriarch Kirill said. “In Nigeria, whole settlements of Christians are being slaughtered and hundreds of churches burned down. But the world is silent as if nothing is happening,” the Russian Church leader said. The authorities in Sudan, Myanmar and Pakistan are also condoning the persecution of Christians in their countries, he said.